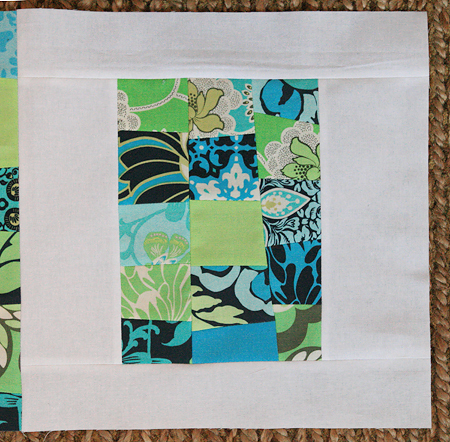 I'm so excited, I received my first quilting bee block in the mail this week! 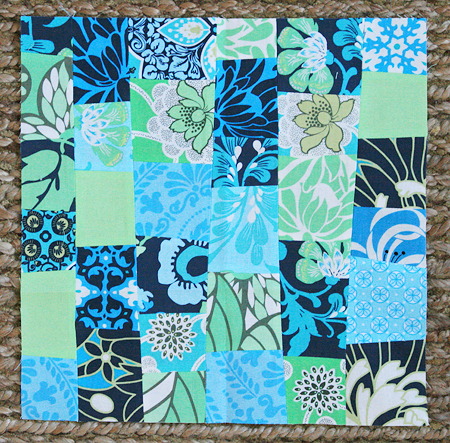 It arrived from Jessica over at Twin Fibers, and it is just beautiful! 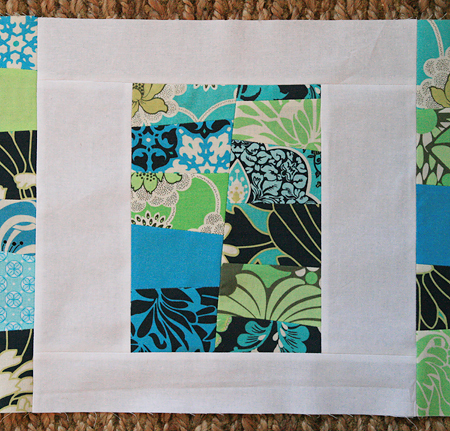 She threw in some great turquoise and blue fabrics, including one of my favorites by Denyse Schmidt. Thanks Jessica! 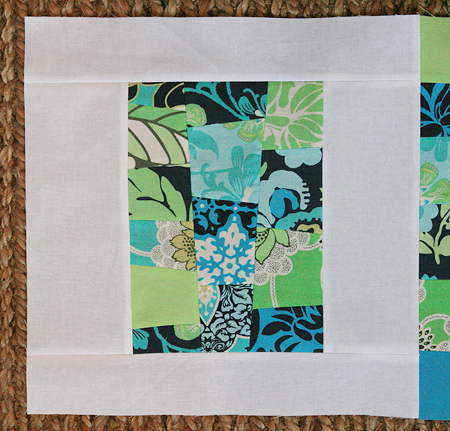 Of course, as soon as I got the block I couldn't resist getting started on my vision for the quilt. And since a picture is worth a thousand words....enjoy!